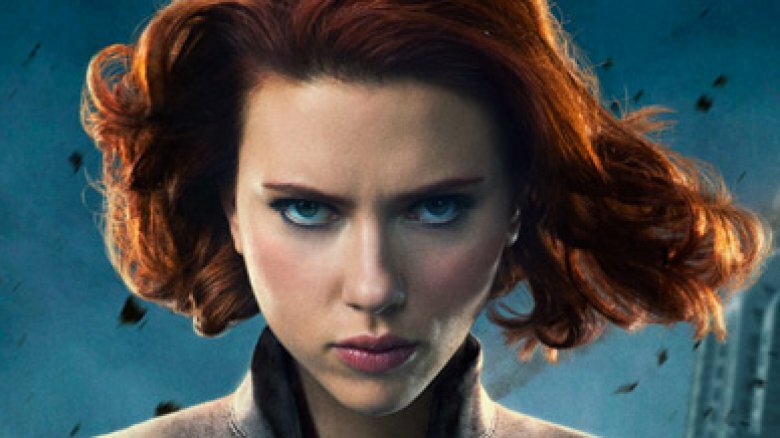 Much like its namesake, the Black Widow solo movie is sneaking its way into the spotlight. Fans have been calling for it, and Chris Evans saw it coming. Now, after years of speculation, firm details are finally beginning to emerge about a solo adventure being developed for Scarlett Johansson's Marvel Comics heroine Black Widow. Marvel Studios' first public effort to get a Black Widow movie going occurred three months ago, with the hiring of writer Jac Schaeffer to whip up a screenplay. Now that the project is actually being put together, we're starting to get an idea of where — and when — it will take place. Additionally, we're starting to get a good idea of the other heroes and villains who stand a chance of showing up. Citing multiple sources, That Hashtag Show has put out a report indicating that the movie will, like Captain Marvel, be set in the past of the Marvel Cinematic Universe rather than the present. According to the THS report, the movie will be set in two different time periods, one following Black Widow's time in the KGB as a state secret agent, and another set 15 years after the fall of the Soviet Union. The latter part of the movie will still take place in our past, catching up with Natasha "Nat" Romanova as she makes a name for herself in the United States. Chronologically, the section of the movie that's closer to the present will still take place before Nat's official introduction to the MCU in Iron Man 2. Further plot details include the involvement of Sebastian Stan's Winter Soldier, who during those time periods would still be under the control of HYDRA and the KGB. If his inclusion makes it through to the end product, it will reflect the characters' shared history. In the comics, Bucky helped to train Natasha, with the two even forming a romantic relationship. Whether that will follow through to the solo movie remains to be seen. Romance or not, it will certainly be fun to see both of these characters as bad guys, should that be the route the studio takes with it. Finally, THS confirmed that the Black Widow movie will have Thor: Ragnarok's Brad Winderbaum, who has been with Marvel Studios since the first Iron Man, on board as executive producer. Rumor has it that the Black Widow movie is being prepared for a 2020 release date, but as of now, that detail is completely unconfirmed. Past the untitled fourth Avengers movie, the MCU's slate is a bit of a mystery, with the only announced projects being a Spider-Man: Homecoming sequel and Guardians of the Galaxy Vol. 3. The studio is also reportedly working on a movie centering on the Eternals, but that project — unlike the other two — has yet to be officially announced. Whenever the Black Widow movie does arrive, it'll be a long time in the making. Hopefully Marvel Studios can stick the landing, keep it interesting, and make the movie worth the wait.